A local county government had been facing recurring issues and concerns about the integrity of their HR Administration. Their experience with past HR managers who were employed by the County had proven unreliable, as many of these past managers had engaged in self-serving alliances with county commissioners and other elected officials who were acting in their own self-interest. These past HR managers had compromised the boundaries between themselves and county employees, and had frequently disregarded standard HR protocols for maintaining confidentiality of employee information. These consistent failures and shortcomings sowed distrust among the county’s workforce toward HR management efforts. With more 200 employees spanning dozens of various positions and fields throughout the county, the County leadership’s past sentiments regarding their HR responsibilities were that they could be better administered and more closely-managed if they were all kept in-house. The opposite proved to be true overtime, and they began to observe decreases in efficiency and morale among their employees that needed to be addressed. County leadership ultimately decided to bring in Summit as a third-party consultant to help perform a full audit of all their existing HR practices. With Summit already being a trusted partner to the County through their Health and Wellness services, management was confident that Summit’s HR Advisory Services would match the same high level of professionalism and overall value that they had been achieving with their existing partnership. Following preliminary meetings, Summit and the County Board of Commissioners developed a plan to outsource the official HR Director/Manager position itself to Summit. This would ensure that there would no longer be divisive alliances or crossed boundaries between the employees and their HR Manager, as outsourcing the position eliminated the potential for existing personal relationships with staff to negatively impact the Manager’s ability to perform their duties with integrity. Following the designation of the new HR responsibilities to Summit, it was determined that Summit’s HR Consulting Lead, Gracen Johnsen, would meet on-site with the Board of Commissioners and elected officials monthly to review processes, project updates, or any ongoing areas of concern for the organization. Teleconferencing and electronic communications would supplement the on-site meetings as well. Additionally, a dedicated HR phone “hotline” was established at the Summit HR Consulting Desk to give prompt attention to any questions or issues that may arise. The decision to outsource the HR Manager to a third-party resource was unprecedented for public entities in the state, and the initial agreement when the change was made was to “pilot” the model for a year to see if it led to positive change in the organization. However, the new model proved to be a remarkable success, and the relationship between the County and Summit has continued well-beyond the first year. 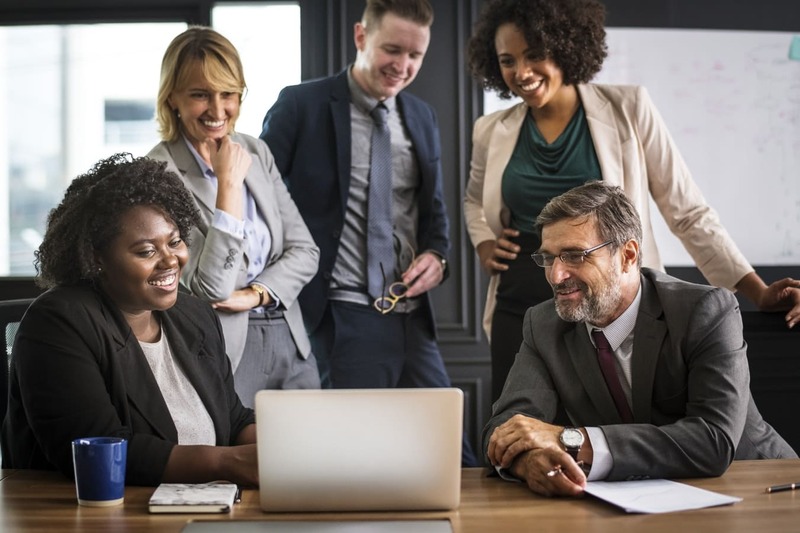 Following the implementation of Summit’s best-practice standards, the County saw vast improvement in its compliance practices with federal and state employment laws, employee performance management became much better understood, and dissatisfaction and employee turnover decreased significantly as well. The present relationship between the County and Summit has evolved into one of trust and mutual professional reward. Not only do employees trust the HR Consultant in their role as it relates to regular HR duties, but the employees have learned to trust their elected officials as well, who had been consulted on effective performance management skills to help strengthen the relationship with their employees. The relationship between the Board of Commissioners and Summit has evolved into a highly-effective strategic relationship; a vast improvement from the reactionary HR practices that were previously holding the group back.